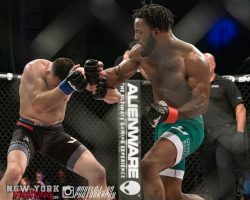 The Professional Fighters League (PFL) lit up the Hulu Theatre at Madison Square Garden last Thursday with it’s first event in their inaugural regular season since restructuring from being the World Series of Fighting (WSOF). 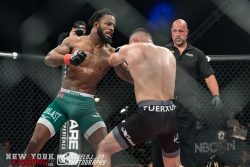 Top to bottom, the card was filled with thrilling bouts including fantastic performances by former WSOF featherweight champions, Andre “The Bull” Harrison and Lance Palmer. “The Bull”’s slick main-event performance against Jumabieke Tuerxun earned him a unanimous decision by the judges, making him now 18-0. The Long Island native had the Hulu Theater on fire, dominating Tuerxun with strong ground game and on the feet. The matchup almost came to a close in the second round which started off with Harrison controlling pace early with lethal body kicks. Tuerxun managed to survive Harrison’s guillotine attempts in second round, but was not able to overcome his consistent precise technique. 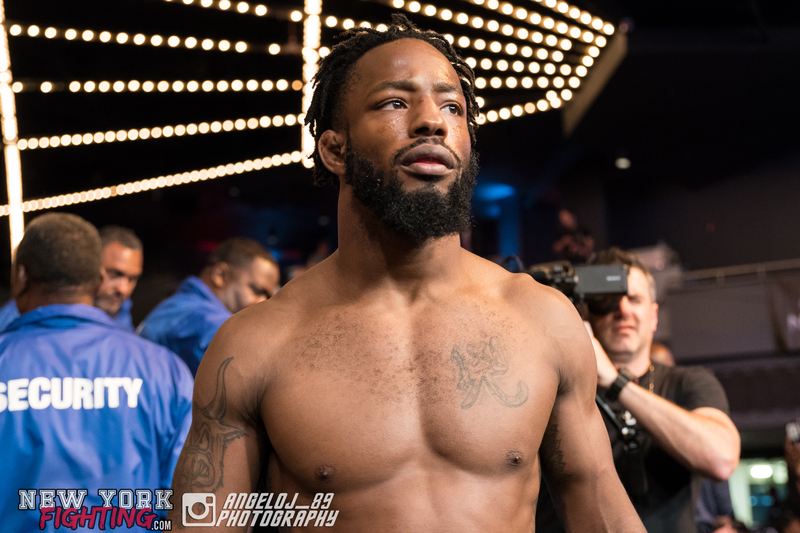 Harrison came forward with multiple takedowns, kicks and ground and pound in addition to landing multiple uppercuts in the third round giving an excellent performance. The undefeated fighter continues through the season with 3 points. The highly anticipated co-main event wasn’t far behind in momentum with Lance Palmer earning a second-round submission via rear naked choke against Bekbulat Magomedov. Both fighters showed out in the first round, exchanging multiple kicks and takedown and submission attempts. Things went to a head when Palmer got a double-takedown which lead him to get Magomedov’s back and securing the choke and 5 points on the leaderboard. Earlier in the card, former UFC middleweight, Alex Nicholson had jaws drop after landing an epic flying-knee, stopping Jake Heun in the end of round 2. In a comparable “knockout of the night” moment, Nicholson’s original opponent, Kelvin Tiller landed a brutal right hand on Caio Alencar for a first round K.O. 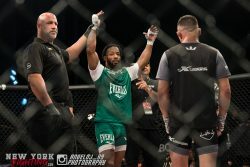 The night had more solid finishes in the undercard with UFC vet Steven Siler coming back from a series of heavy punches to catch Magomed Idrisov in a rear naked choke in round one. 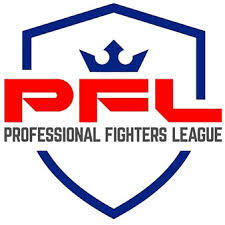 Leading the PFL’s current featherweight standing with 6 points, former WSOF champ, Alexandre de Almeida earned a first round submission after catching Lee Colville in a tight armbar. In the Facebook dark match, heavyweight, Jack May shocked the crowd with a huge body kick that forced Josh Copeland to the ground, ending in a TKO after May unloaded with more shots on the ground. 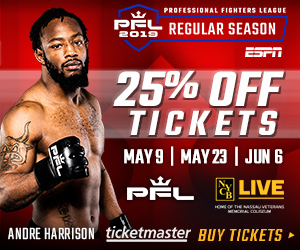 In its season opener, the PFL stunned MSG with a series of highlight reel finishes and excellent execution by featherweight and heavyweight standouts, solidifying the new brand and leaving New Yorkers anxious for it’s return to the state on July 19.